HOLLAND offers a range of audit services tailored to support and improve your workplace health and safety performance. We understand that every company and organisation is unique so spend time getting to know your business so that the outcomes we deliver directly assist you to meet your strategy workplace safety goals. Our consultants work very closely with employers across the private and public sectors to complement internal workplace health and safety expertise. All industrial processes will have some effect on the environment. Frequently issues may arise such as noise audible outside the site boundary, oil leaks to the ground, or emissions to air. It is therefore helpful to have an independent assessment of what are the significant environmental effects of a site and whether legislation is being breached before it becomes a problem for your business. Holland Safety offers environmental audits to assess your environmental credentials and ensure that national and international environmental regulations are being met. Our wide range of audit, verification and testing services will help you to minimise your environmental impact and improve your sustainability performance. 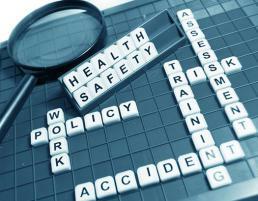 All businesses must regularly examine the quality and effectiveness of your health and safety management systems. It is notable that when the HSA conduct their investigations into major accidents, it usually highlights health and safety management failures as being the root of the cause. Holland Safety carries out auditing services for customers in order to ensure continual improvement in the management of health and safety. Our experienced consultants have extensive experience in collecting information on the efficiency, effectiveness and reliability of Safety Management Systems and implementing corrective action where necessary.